Canigest There is 1 product. Canigest Paste for Cats and Dogs is a feed supplement for dogs and cats that combines a probiotic, prebiotics, glutamine, kaolin and pectin. 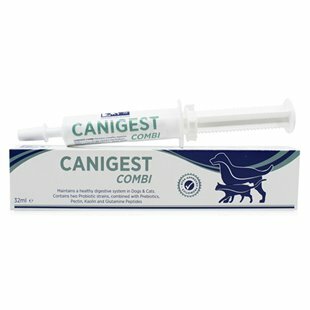 Canigest Paste is suitable for feeding to dogs to assist in the nutritional management of digestive tract upsets.